The biggest gaming event of summer 2016, Pinoy Gaming Festival Summer Assembly, is back and it is set to gather the most competitive games around the country. Set from May 6 to May 8, 2016 at SM Cyberzone, SM City North Edsa, it will also be the venue for new mobile game Clash Royale’s 1st Philippine tournament. 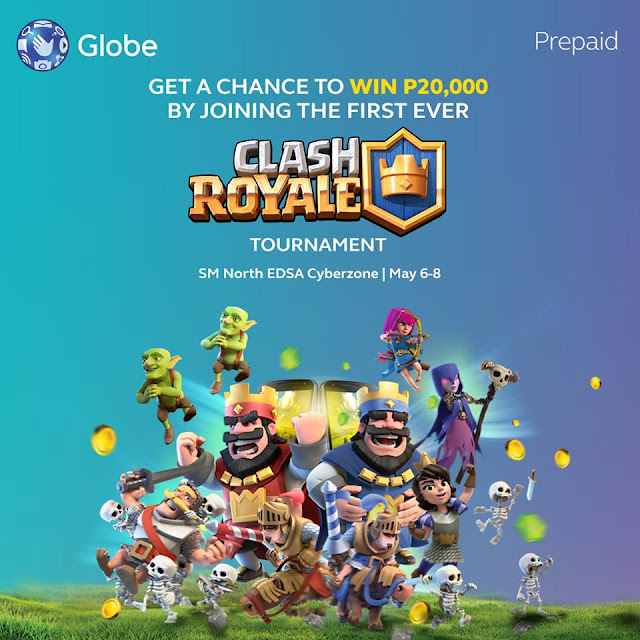 Presented by number one mobile brand Globe Telecom, it will be three days of intense online competition especially as gamer's compete to conquer new top mobile strategy game Clash Royale. The game taking the country by storm! It’s simple yet intense real-time strategy gameplay, and with its addictive card collecting aspect, players are sure to get hooked! In Clash Royale, players win by destroying the opposing player’s towers to obtain crowns. The player with most crowns wins! Winning each battle earns you trophies that increase your Arena level, giving you a chance to earn and unlock better cards! Ready to dominate the game? Here are a few tips to help you start off your Clash Royale career! On Globe, customers can play and access Clash Royale on their iOS or Android devices through the GoSURF consumable mobile data promos. Additional purchase of in-game currency is also made more convenient with the reloadable prepaid card, GcashMastercard if one is using an iPhone or iPad. On an Android device, customers can also easily buy in-game currency via Direct Carrier Billing where the amount is charged to one’s postpaid bill, or credited from the available prepaid load.